It’s no secret that I accidentally stumbled upon the crazy world of 3D Visualisation while studying a Diploma in Interior Design. I never set out to become a 3D Visualiser, I simply wanted to feed my unwavering interest in and passion for Interior Design by furthering my understanding and knowledge of this glorious subject. But no matter how hard I tried, I couldn’t resist the appealing combination of technicality with creativity that 3D Visualisation clearly offered. It enticed me to the extent that I withdrew from my Interior Design Degree to focus on developing my 3D Visualisation freelancing. Plus, I physically and mentally couldn’t continue working full time, study for a Degree AND freelance – I was heading for nervous breakdown territory; not particularly attractive, I’m sure you’ll agree. So I needed to make a decision: Interior Design or 3D Visualisation. 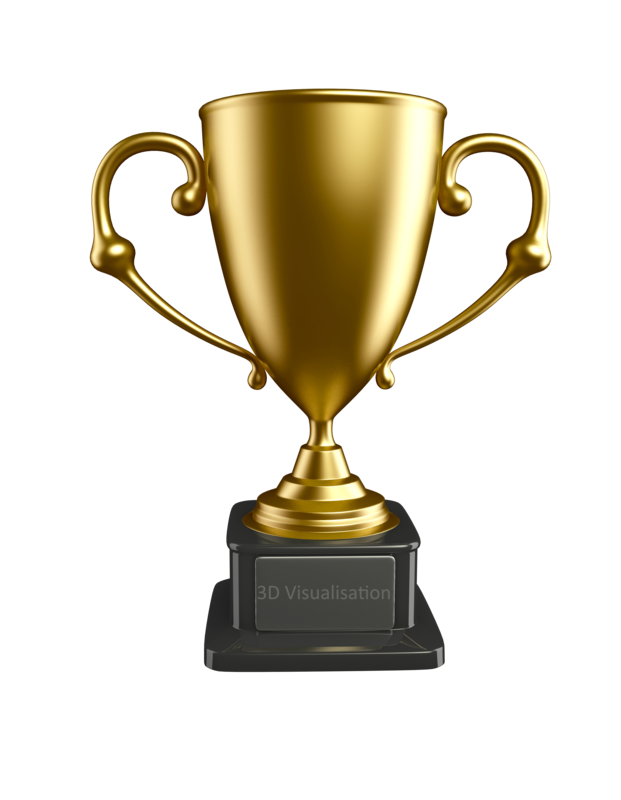 3D Visualisation won. Around this time I was approached by an Interior Designer to produce 3D visuals for Grand Designs Live in London (January 2014). And this was the turning point. The timing couldn’t have been better, I was still uncertain whether I’d made the right decision to leave the Interior Design course AND I was plagued with self-doubt as to whether my potential was really that good when it came to 3D Visualisation. And this leads me onto something much more poignant. Deep and profound bit coming up! Look away NOW! Consistently over the last 18 months, every single time I’ve felt uncertain of my 3D Visualisation path, I’ve been given an opportunity or recognition where my 3D Visualisation work is concerned (stick with me). In my mind, these are signs. 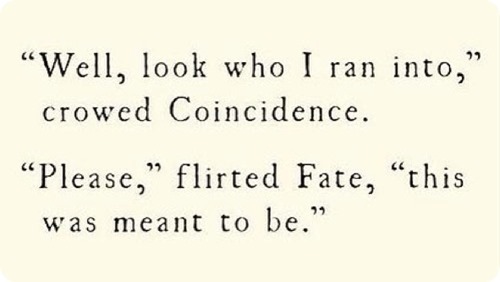 In my mind, the universe is telling me something. And I’m hoping it’s telling me to persevere and continue because it knows that this is where I should be. Ok, normal service has resumed. I upped the ante for the Grand Designs Live project. I had to. My sh*t was going to be on display. My understanding, knowledge and learning curve of 3D modeling and rendering spiked during this time. Yes, there were plenty of tears, tantrums and the placing of laptops in headlocks when things didn’t go quite right. But it was worth it to have Maxwell Render provide me with the acknowledgment that any 3D Visualiser would consider a thrill and privilege. They wanted to include my 3D visual in their online gallery. I mean, honestly, this really is the ultimate accolade. But Maxwell Render has bettered that. I know, you didn’t think it was possible, right? 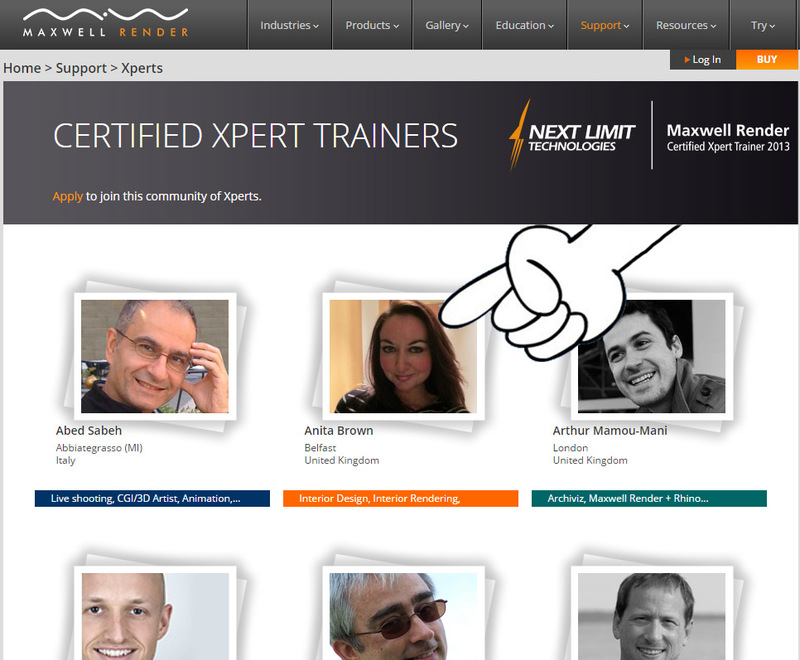 This week I was given the title of Maxwell Render Certified Xpert Trainer. I was elated, emotional, overwhelmed and so proud of myself when I received their initial email asking if I’d be interested. I basically did a ‘Flashdance’ across my living room. Part of me feels that I don’t deserve, or haven’t earned such a title but I think that’s partly down to the culture of where I’m from. But I gotta admit, the sense of accomplishment, especially at being self-taught, is immense. And this awesome gesture couldn’t have come at a better time, because I’m experiencing one of those periods of self-doubt. Again. A sign? You tell me. As I venture further into my studies I’m entering the 3d visual world and it’s scarey to say the least! Is there a fee for “xpert” help? I would like to say well done keep up the good work! Thank you for your comment and for your positivity! Yes, the world of 3D can indeed be intimidating in the early days but after you practice and gain experience it’s much more enjoyable and much less scary! Private support and guidance can be provided, email me at design_studio@hotmail.co.uk if you would like to discuss further.